As a child psychologist and parent, I have a soft spot in my heart for kids who default to negative thinking when faced with daily stressors, big or small. You know the kind…life is too hot, too cold, too tight, smells weird, has a brown spot, is unfair, on purpose, not good enough, always this and never that. These chronic complainers view life in all-or-nothing terms, can turn a minor problem into an instant catastrophe, cherry-pick out the bad, and give up when something is hard. Negative thinkers view everyday obstacles as unchangeable and inescapable, and often their fault–quite a roadmap for feeling helpless and out of ideas for success. Their confidence, family relationships, friendships, and mood suffer under the weight of default rigidity and impossible happiness. 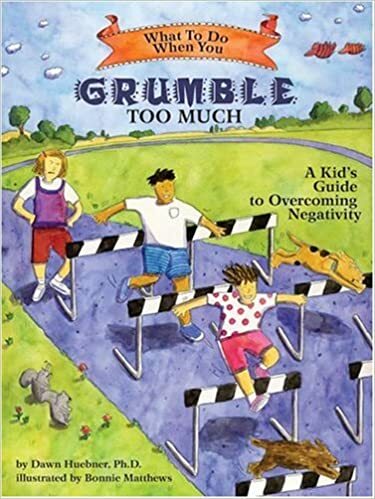 Negative kids have taught me a lot about just how discouraging and painful it is to have such a grouchy brain and how much they want adults to understand they are not being difficult on purpose. I also feel for the parents of negative thinkers who try so hard to cheerlead, reassure, and reason with that child, hoping against hope that somehow optimism will win. When it doesn’t work, even the most patient parent can resort to scolding, yelling, and belittling, resulting in two upset people who feel misunderstood. The more you argue with a negative kid, the more they up the ante of often dumbfounding evidence to support their cynical point of view. Hurtful and unhelpful exchanges only fuel a child’s negative ride. This is where parents need the most help. They need to understand what is at the core of negativity, how their behavior stokes the fire, and what to do instead. I wrote the book Navigating Negativity: Practical Parenting Strategies to Reduce Conflict and Create Calm as a starting place for parents who are tired of negativity being in charge at their house. The best part about the book is that none of the strategies require the child’s cooperation! Caregivers discover just what might be behind their child’s negative mindset, how adult responses could be encouraging their child to hold on tight to that rigid response, and what to do instead. The best chapter is the one that gives parents ideas on how to nurture a positive household every other minute of the day when their child is NOT in meltdown mode. I really tried to craft every chapter to provide practical information that does not overwhelm, but inspires readers to do better for their negative child. These kids are tough. I am humbled by the chance to make a difference in even one little person’s life with this book. Imagine what a home would look like if negativity wasn’t in charge! Imagine what all families could look like if negativity wasn’t in charge! Want to make a difference for your family? Buy this book today for ideas you can change you can make instantly. Ebook and paperback back now available on Amazon.com. January 12, 2019 /by Doc V.
It’s hard to go to therapy. Some kids don’t want to. Most families struggle to make time in their schedules. And insurance? Also a barrier for many families. Even if you have made the difficult decision to pour out your parenting frustrations to a total (trained) stranger, the wait can be long and the fit might not be right. It’s no wonder that parents desperately search online for advice and options to help their child cope with their mood and behavior problems. Such searches can yield an overwhelming amount of advice, however, prompting parents to default to whatever they’ve been trying and hope for a different outcome that doesn’t come. Today I want to guide that search a bit. Below are a few of my favorite workbooks to help families address three common problems: kid anger, kid grumbling, and teen negativity. These workbooks work best when they are read together with a caregiver who can reinforce the ideas in a positive way throughout the day. The best part? Even if your child doesn’t buy into the concepts, I am sure you will learn strategies you can use with or without your child’s cooperation. Here is one of my go-tos for kids who get mad easily. 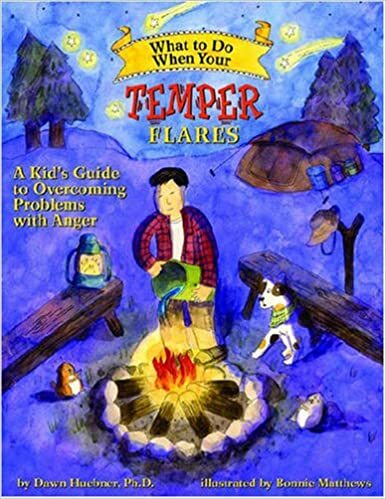 One of my favorite explanations in the workbook is that anger is like a fire and you have to recognize not only what fuels your fire but what puts it out too. The fire analogy also helps parents understand what they do that sparks their angry kid as well, like yelling, comparing, shaming, and reminding them of past mistakes. The link below will lead you to Amazon.com. And What About Kids Who Seem to Complain About Everything? This workbook has great ideas like “taking off your bad memories backpack” to help you not focus on what has gone wrong in the past. Helpful for parents who are complainers too! What About Those Grumpy Teens? I find that the workbook below is useful for helping teens who struggle with any issue that might spark negativity…perfectionism, anxiety, depression, peer problems, family conflict. Many of the situations that we find challenging often start with how we think about the scenario. 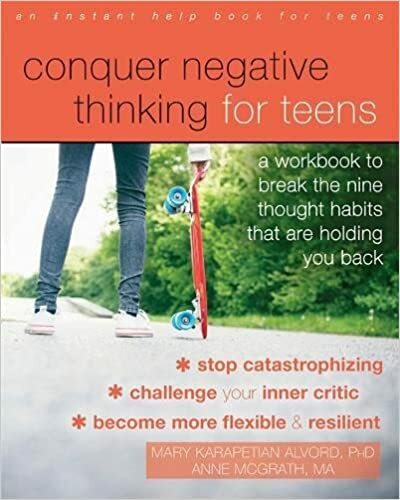 This book helps teens identify those thoughts and how to challenge them to spark a more positive perspective on situations like hard homework and friend troubles. This workbook is easy to read and would be a great source for how to resolve negative thinking habits or avoid them in the first place. Children’s mental health problems can take more than a workbook to solve. These resources offer a solid springboard for moving in the right direction. Consider them part of your parenting toolbox. Be sure to seek additional support through a qualified health care provider sooner than later if your parent radar tells you problems are becoming too overwhelming to figure out alone. November 4, 2018 /by Doc V.
Going to preschool is a huge step for children! It is a big moment for parents. Here are some tips for getting off to a successful start! Be confident in your child to succeed in school. If your concerns are that your child might not behave well at preschool, or make friends, or will be anxious, give him or her a chance. Children often behave differently depending on the environment. How many times have you heard a parent complain that their children behave better at home than school? Children also tend to love preschool and want to do well. Give your child a chance before alerting the teacher to your concerns. The school will usually reach out if there is a concern. If your child isn’t reaching milestones such as speaking fluently, reach out to your local public preschool or pediatrician for help. Your pediatrician can help you determine if your child needs to be referred for a developmental assessment. If your child is identified as having a developmental delay, your local school system can help arrange for needed services such as speech, physical, or occupational therapy and special education preschool. Your preschool handbook will often be available online or you can request a copy. The handbook is a wealth of knowledge regarding procedures for discipline, illness, inclement weather, and more. Instead of guessing what to do, be prepared by knowing in advance. Your child and her teacher need time to get to know each other. Your child needs to learn the structure of preschool and what are the expectations and consequences. Even if you disagree, if your child comes home upset about something that his teacher says, try to show that you support the teacher. If you are concerned about abuse, contact the school principal or police. It is fine to let your child know that she will be starting preschool. You can shop for a backpack and visit the school playground. Avoid talking about preschool all the time as it may send a message to your child that there is a reason to be worried about preschool. Predictable routines for sleeping and waking will make sure your child is well-rested and ready to learn each day. Additionally, predictable routines will help your child relax and participate fully in preschool. Don’t be surprised if your child is more tired and irritable during the first week or so after starting preschool. Remind yourself that this adjustment period will not last forever. Think of it as your child is getting used to a new job. The more that you can show your child that you are calm about preschool the more your child will try to imitate your calm behavior. Your child is looking to you to guide him. If you model that “everything is okay,” your child will be able to absorb this message and look forward to going to beginning her education adventure. Sending your child to a new experience can be both exciting and a little scary. It is normal to be worried about your child. Growing up can be hard both for parents and their children. Jennifer Luria is a highly skilled child and adolescent psychotherapist. Ms. Luria holds a Masters in Social Work from the University of Iowa. She is currently on staff at Hope Springs Behavioral Consultants in Coralville, IA. August 14, 2018 /by Doc V.